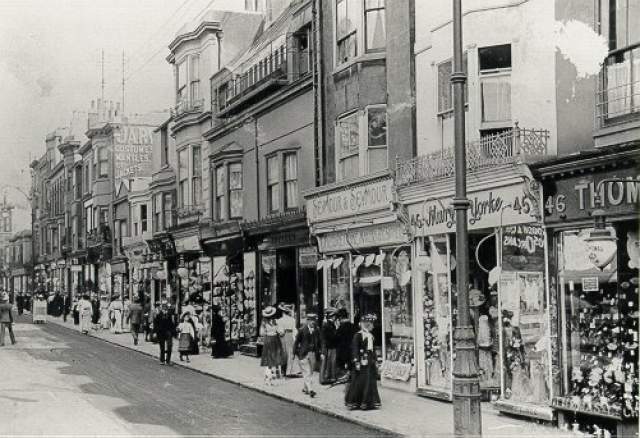 Edwardian view of Western Road shops c. 1900 (southern side) looking east from No. 46. The shops have plate glass windows and exterior gas lighting to illuminate them at night.